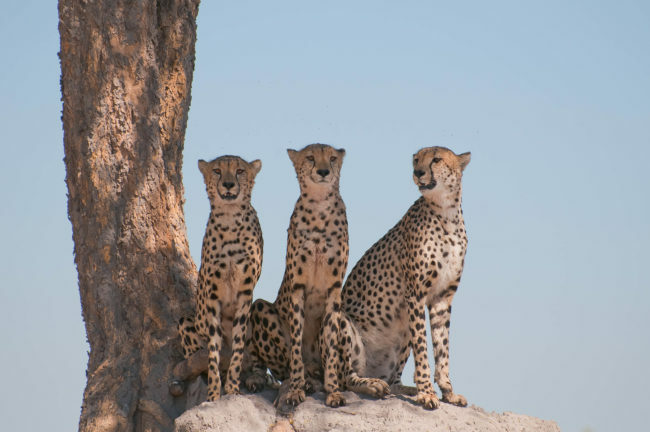 Botswana Express – The Great Canadian Travel Co.
Our customised safari tours in Botswana are designed by one of our longtime, expert safari partners, and are offered during the “green season” in southern Africa to maximise the wildlife viewing experience. 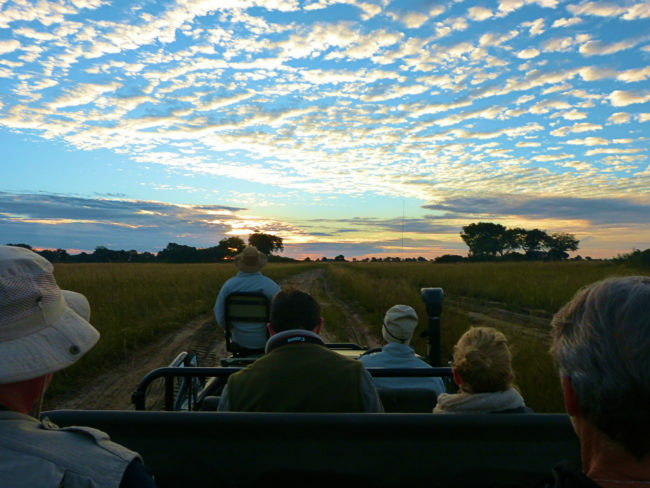 You are met on arrival in Maun and continue on a scheduled flight by light aircraft to Kwetsani Camp. Kwetsani, one of the most remote camps in the Okavango, is situated on a magnificent elongated island covered with palm, mangosteen and fig trees. You will feel a part of nature here as you make your home in one of the five beautifully furnished “tree-house” thatched, canvas tented units with en-suite bathroom. Open and airy, the wood, glass and canvas make for a splendid setting. The dining and lounge area, under a cool thatched roof, leads out onto an expansive wooden deck overlooking the floodplain. A short walkway will take you to the plunge pool where you can watch wildlife from the comfort of your sun lounger. 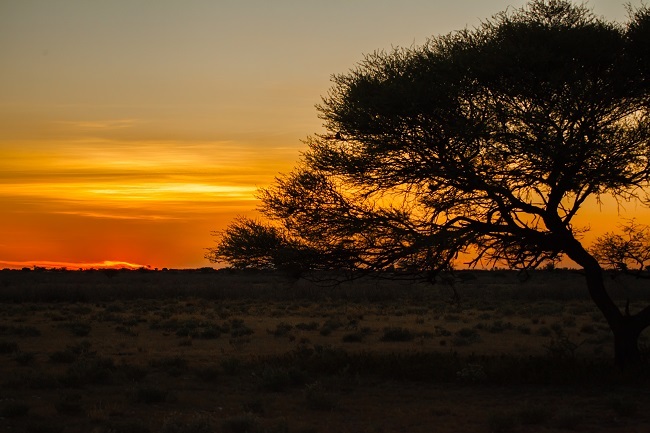 The vegetation in the Kwetsani varies from picturesque floodplains with lush palm islands and riparian forest to dryer parts covered in acacia and mopane woodland. 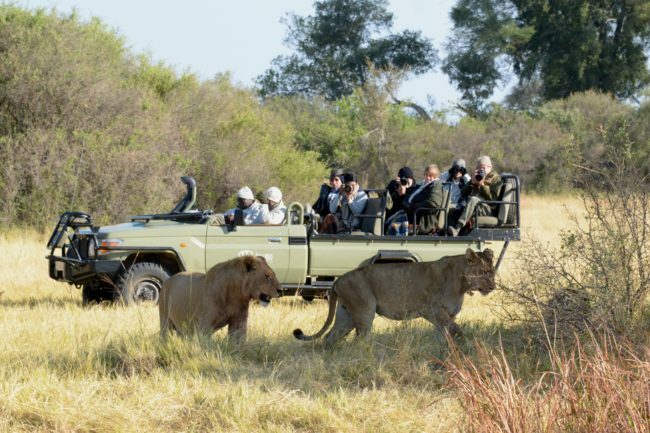 Mekoro, boat trips, guided nature walks (seasonal & subject to the availability of a qualified walking guide) and game drives are usually on offer all year round. There are two platform hides in the concession. Water-loving red lechwe are in abundance which attract big predators such as lion and leopard. 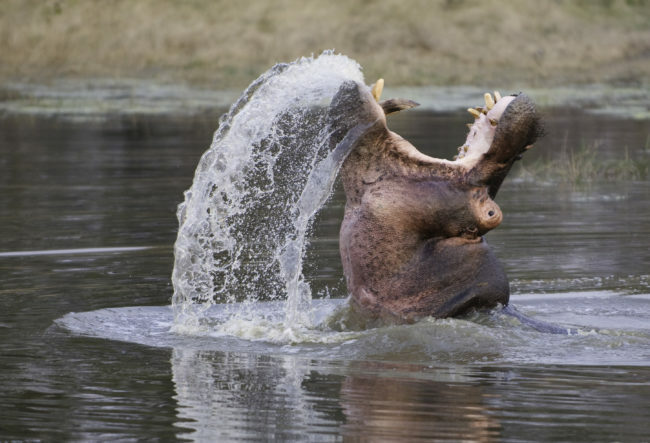 Other game includes tsessebe, giraffe, elephant, hippo and crocodile, occasional sitatunga and regular spotted-necked otter. Birding is exceptional with large concentrations of endangered Wattled Crane, Slaty Egret and Lesser Jacana. 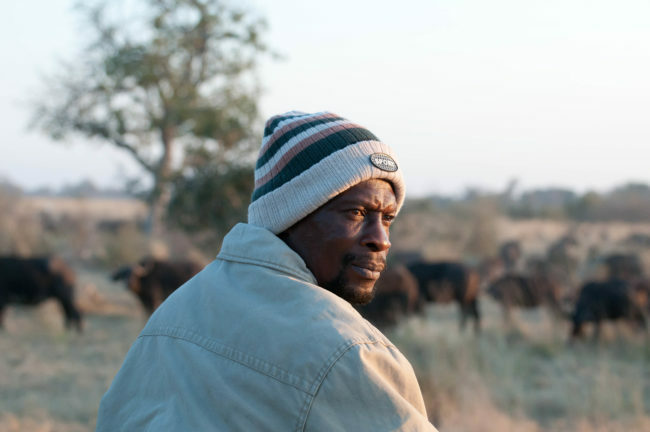 Say farewell to Kwetsani and travel by a scheduled, light airfare flight to your next camp. 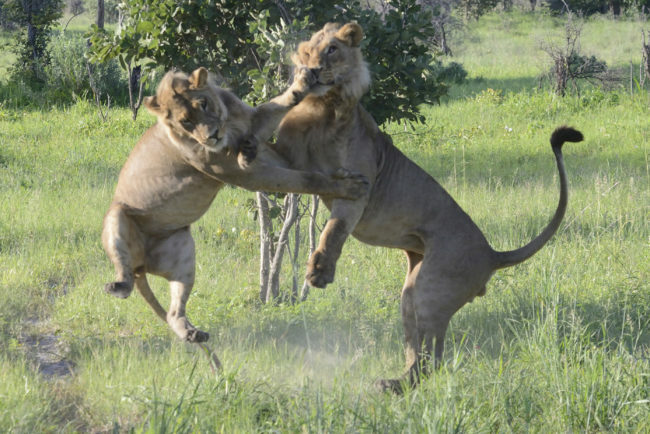 Savuti Camp is set deep in the wilderness on the productive Savute Channel – a refuge for a variety of wildlife. For many years the channel was dry; however, the waters returned in 2008 and abundant game has congregated and adapted in its wake. Facing the sporadically-flowing channel and raised off the ground, one of the seven large en-suite canvas-and-thatch rooms will be your home during your stay. Views extend outwards and are exceptional throughout camp, from the thatched dining area and plunge pool to the large viewing deck with fire pit. With front row seats onto this sporadic and unusual watercourse, an extraordinary once-in-a-lifetime experience awaits you. 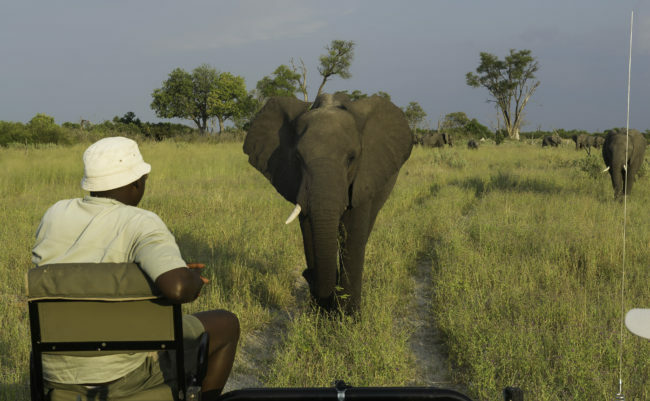 Savuti Camp is involved in elephant research and the possible impact that large herds have on the vegetation and other animal species. 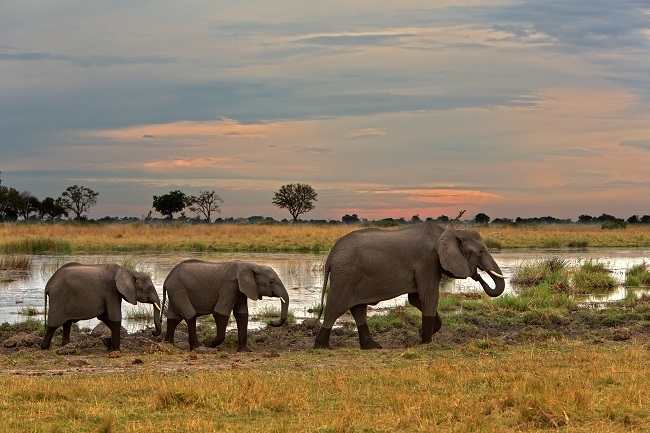 Elephant and plains game are in abundance. Other species seen are roan, giraffe, lion, leopard, cheetah and wild dog. 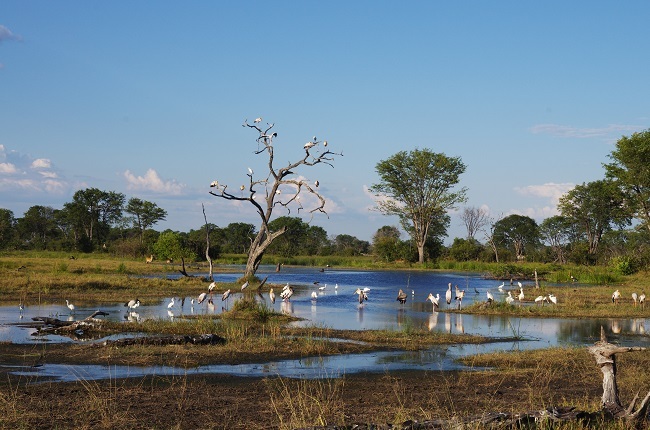 Savuti Camp is a birder’s paradise. The area has been internationally recognised as an IBA (Important Bird Area). 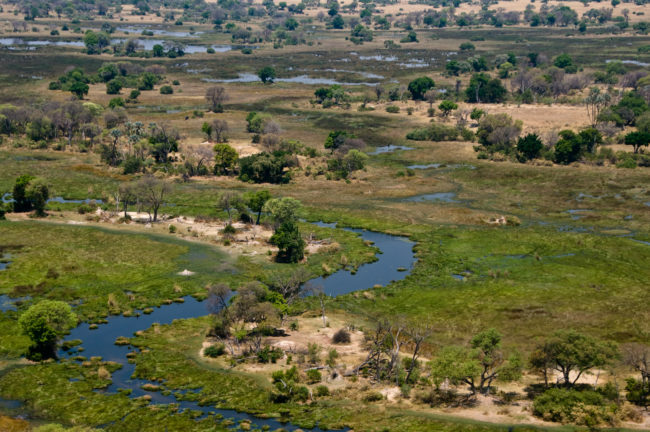 Other than the ancient watercourse – the Savute Channel – the concession is made up of mopane woodland, riparian forest and floodplain around the Linyanti River. Time to say good-bye to Savuti Camp and catch your flight via scheduled, light aircraft to Kasane Airport. From here you transfer to either Livingstone or Victoria Falls. If you are heading to Livingstone, either to catch a flight or spend a few days sightseeing, the transfer from Kasane Airport isn’t just a run of the mill trip by bus, it’s part of the adventure! The transfer includes a short 10 minute drive to the Kazungula ferry terminal. A small speed boat ferries you across the Zambezi River to Zambia, where your visa is obtained. After immigration clearance you’ll continue on from Kazangula to Livingstone by road, approximately a one hour drive. 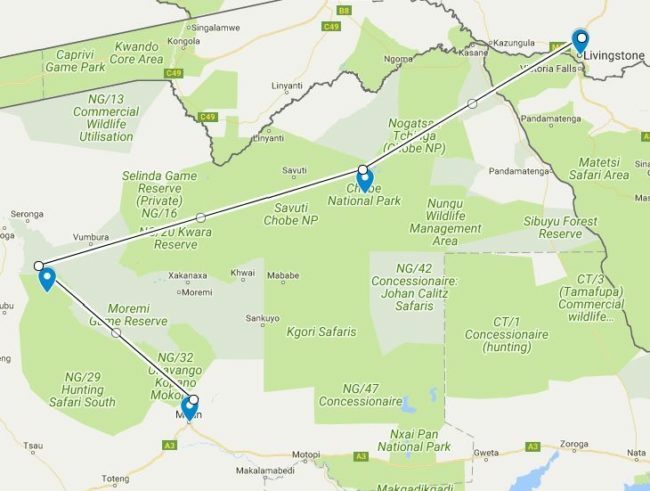 Alternatively, there is a direct road link from Kasane Airport to Victoria Falls. The Kazungula Road Border Post, about 10 minutes drive from the airport, links Kasane, Botswana to Victoria Falls, Zimbabwe. Your Zimbabwean visa is obtained at the border post. From here it is about a one hour drive to Victoria Falls. 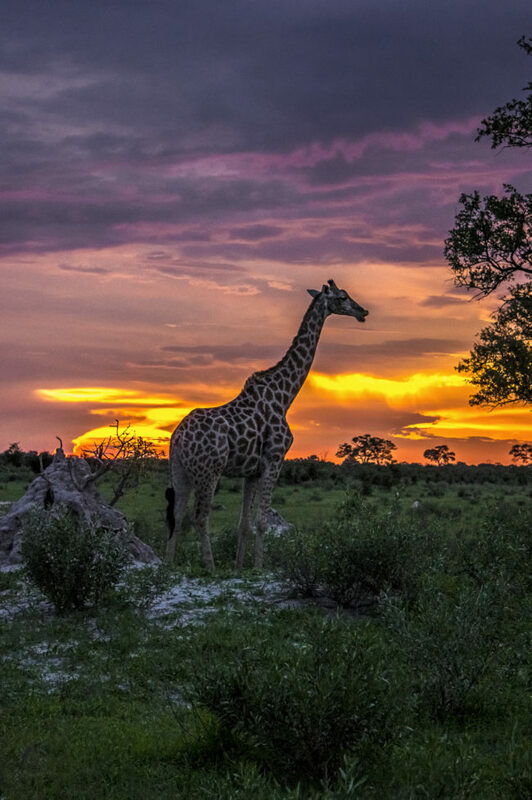 You can choose to spend a few days experiencing this diverse and beautiful area staying in either Victoria Falls or Livingstone, with the highlight of course being the famous falls!